Readers of this blog will know that I usually go to India at this time of year... but this winter I'm bringing a little bit of the colours and spirit of India to Istria instead! 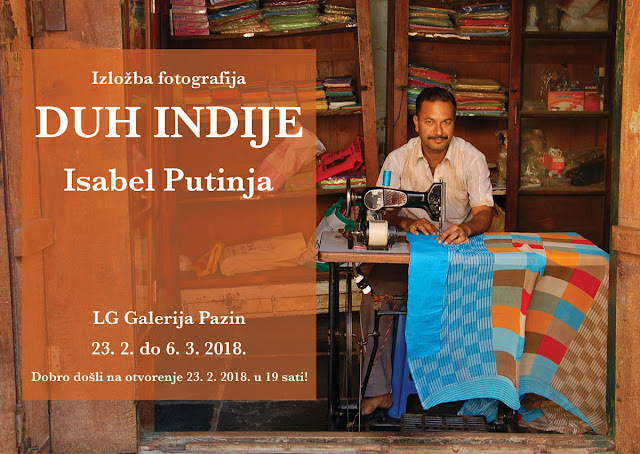 I'm having an exhibition of some of my photographs of India at LG Galerija in Pazin. Do join me at the opening on Friday 23 February at 7pm. Or stop by and say hello during the exhibition! Congratulations and good luck tomorrow!! How exciting!